The Villager 8 Bell Service Vehicle carries eight and accommodates a luggage bed, stake side kit, hand trucks and bell service canopy. Our customers often have unique requirements. The new Showcase Vehicles give them a framework to build on, yet let them select the accessories that will solve their problems, speed productivity and reduce drive time for particular applications. 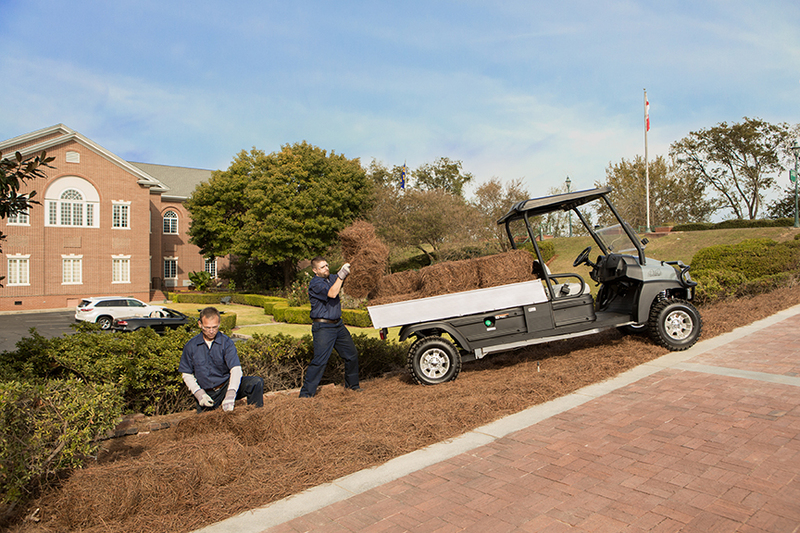 Club Car, a brand of Ingersoll Rand, has launched a new line of vehicles through its Custom Solutions Department. Known as Showcase Vehicles, each is intended for a particular application and based on the appropriate Club Car platform. However, customers can configure the vehicles for their individual needs and sites. Club Car’s Custom Solutions Department also designs unique vehicles for virtually any industry or application. 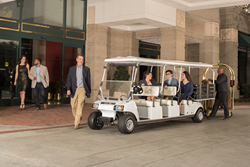 Visit [http://www.clubcar.com to find you local Authorized Club Car Dealer and learn more about our Showcase Vehicles. The Carryall 1700 with automatic four-wheel drive and extra long bed is ideal for carrying long or heavy loads over rough terrain. 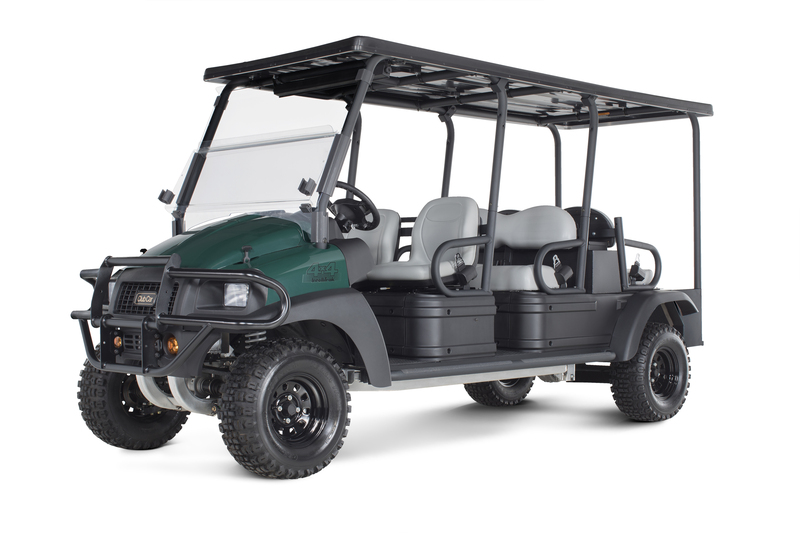 The Carryall 1700 six-passenger utility vehicle with automatic all-wheel drive carries three crews over wet, rough terrain.